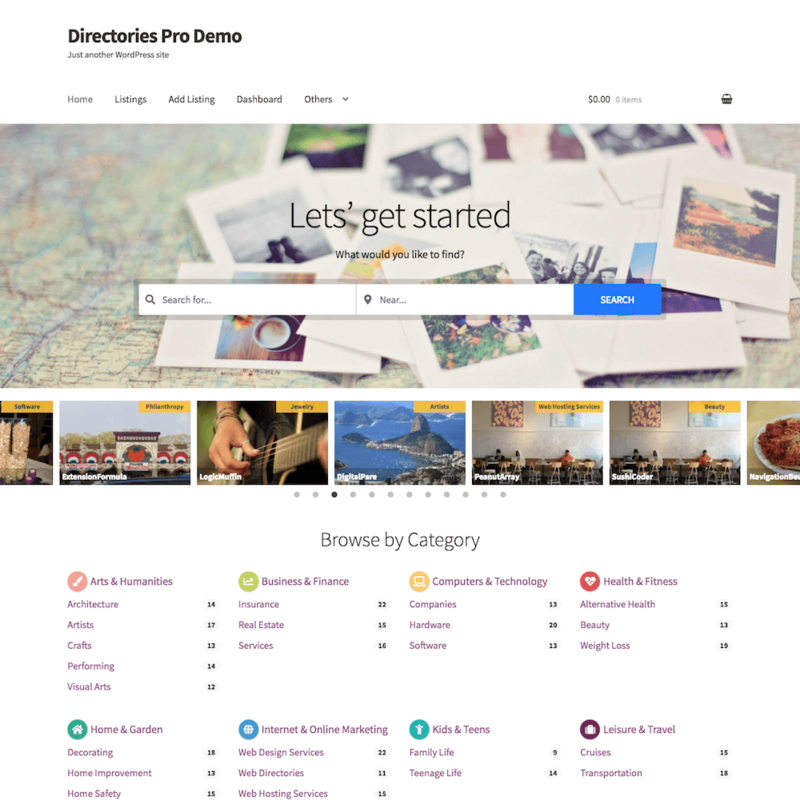 Meet Directories Pro, a robust suite of plugins to build feature rich directories on your WordPress website. Fully optimized and leveraging cache for great performance on both desktop and mobile devices. Enhanced search experience with auto-suggest enabled search form and dynamic faceted filtering. 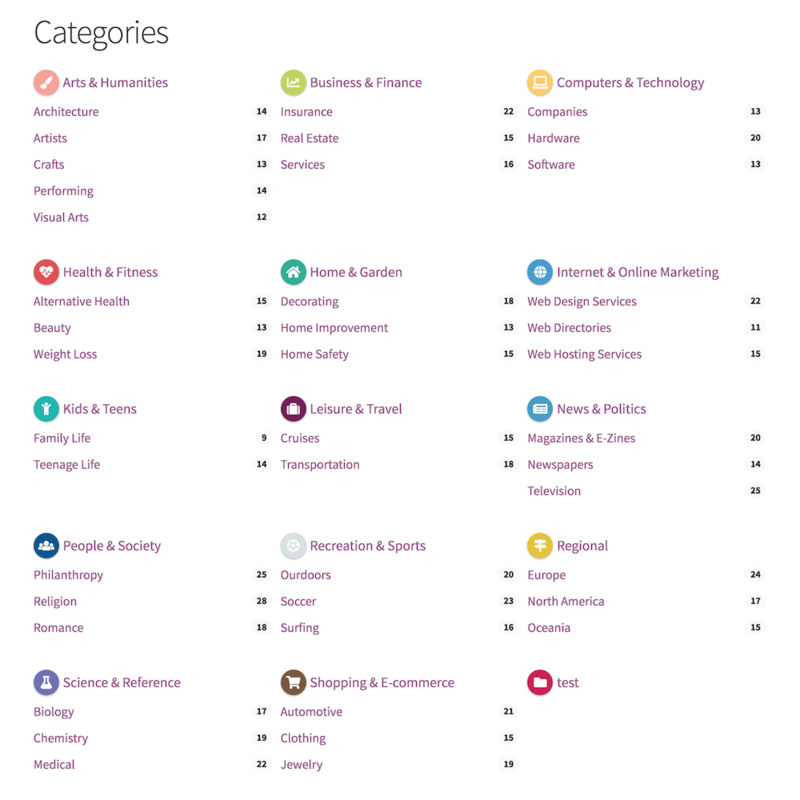 Add fields to listings, categories, tags, locations, reviews, and even to claims from over 30 elements. Customize appearance of directory content in minutes without writing any code using a drag & drop display editor. 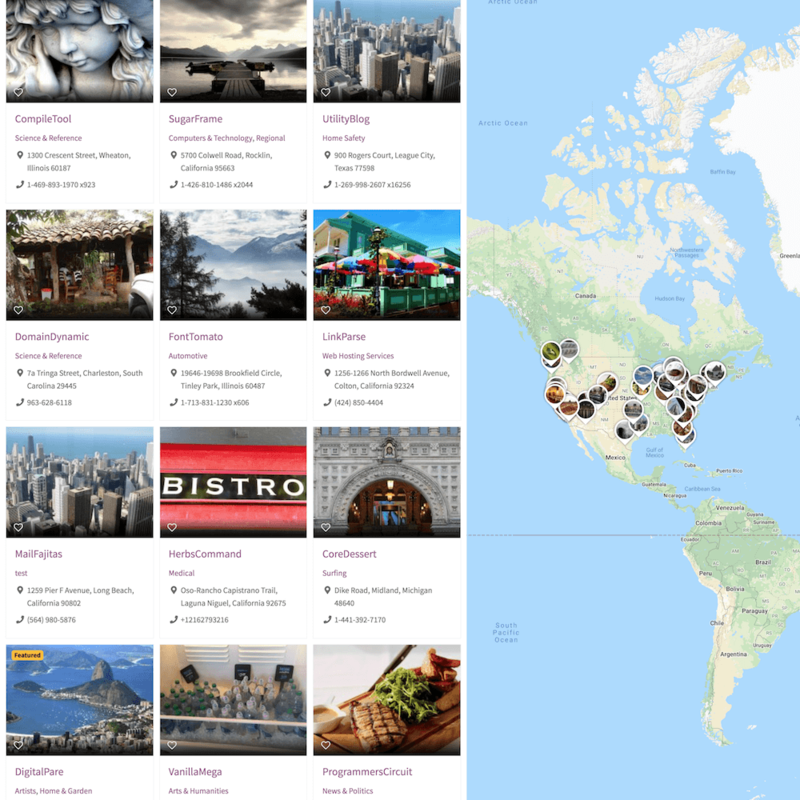 Display listings on custom styled maps with advanced features such as custom area search, geolocation, and full-screen map. 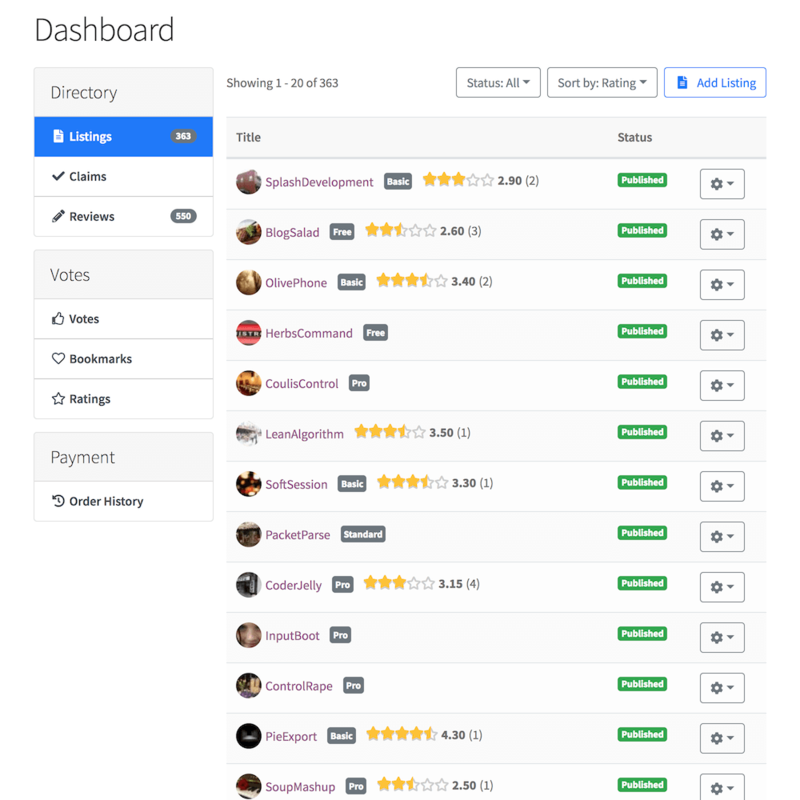 Easlily monetize your directory by charging users for posting listings through WooCommerce payment gateways. Allow users to submit and manage their content from the frontend without going to the backend dashboard. 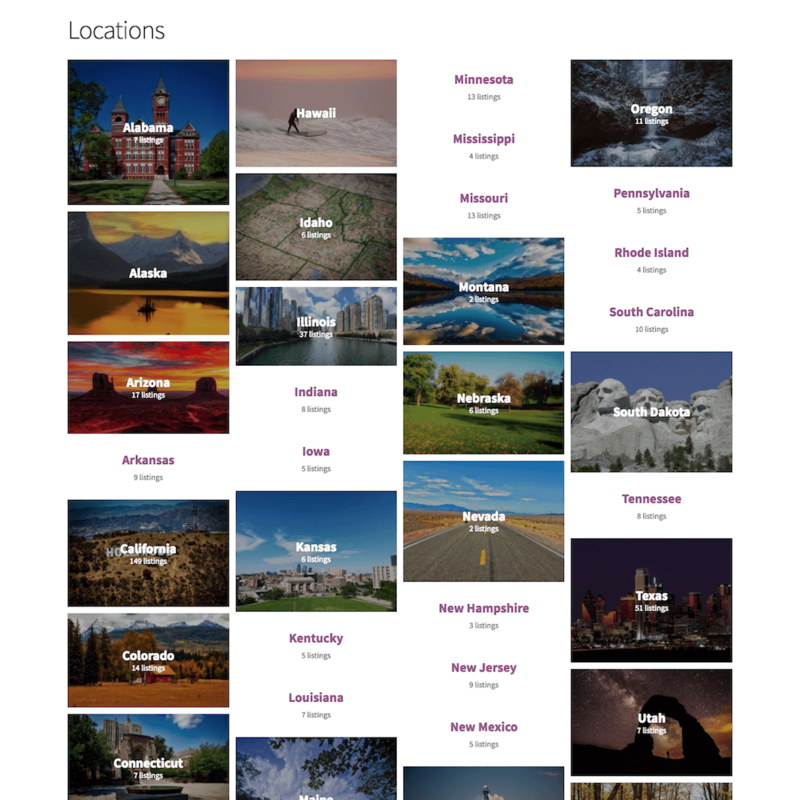 Let businesses or users claim their own listings. A verified listing will allow them to edit their data and keep it fresh and relevant. Export and import any content of your directory to and from a CSV file in just a few number of clicks. 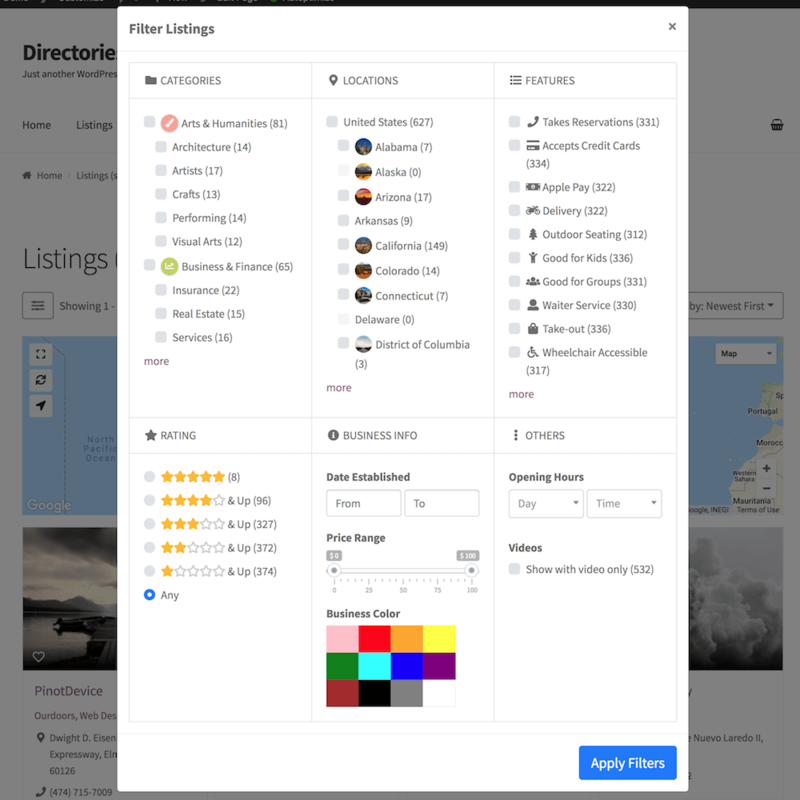 Let users submit reviews for listings with customizable rating criteria, a great way to increase user engagement. Build any number of directories with a single install. Easily clone or migrate directories by exporting and importing directory settings. WPML support lets you serve directory content in multiple languages. Also supports RTL languages out of the box. 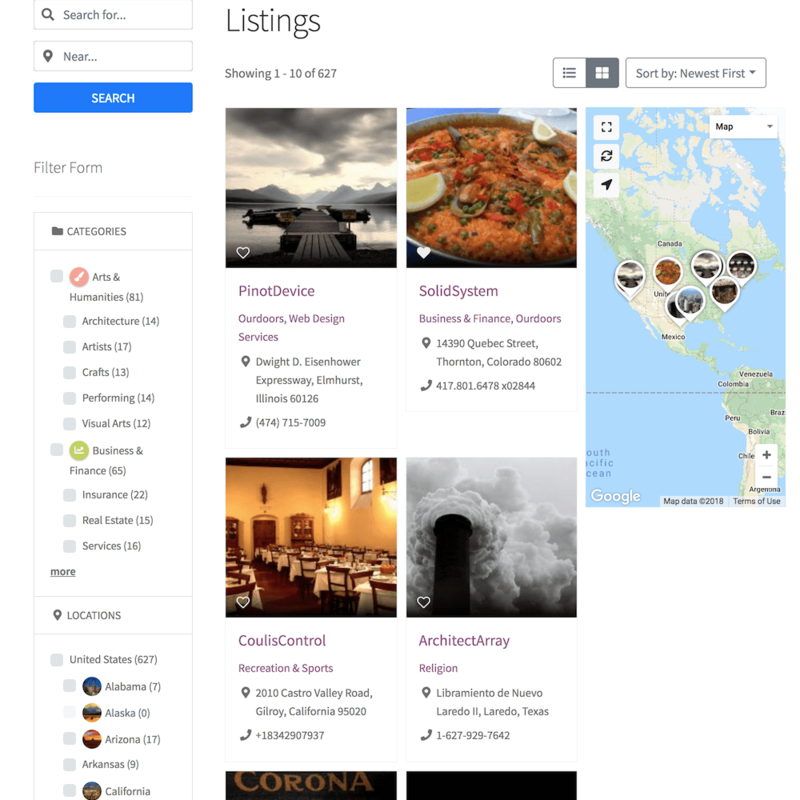 Let not only registered users but also guest users submit listings and reviews to help grow your directory. 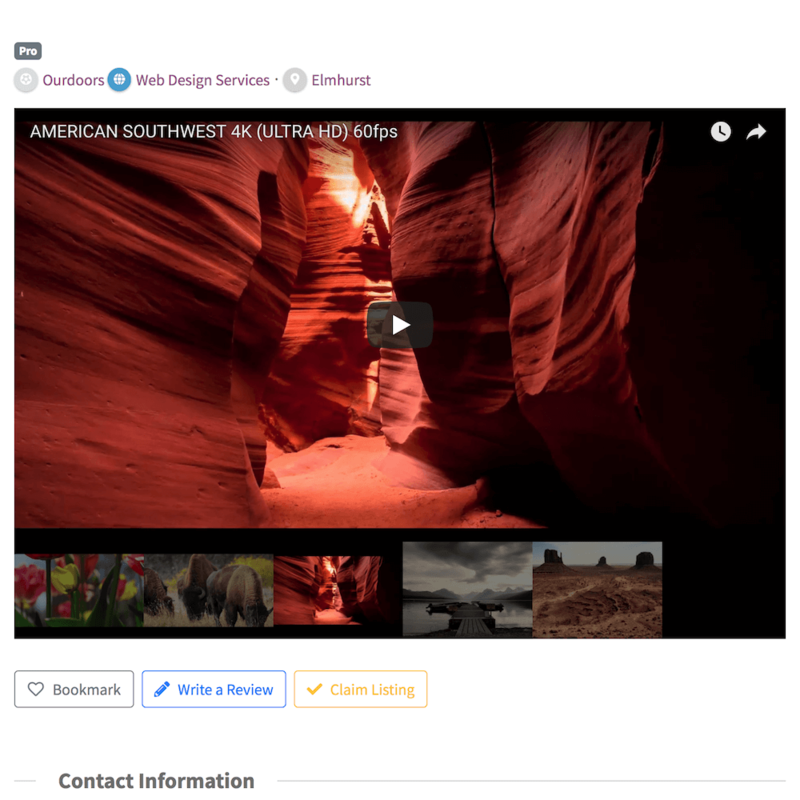 Use popular contact form plugins to add a contact form to listings. Supports Contact Form 7, WPForms, and Gravity Forms. Integrates with the Better Notifications For WordPress plugin to let you fully customize directory notification e-mails. Fully componentized architecture, PHP namespace, Composer, Bootstrap 4, Font Awesome 5, and more. 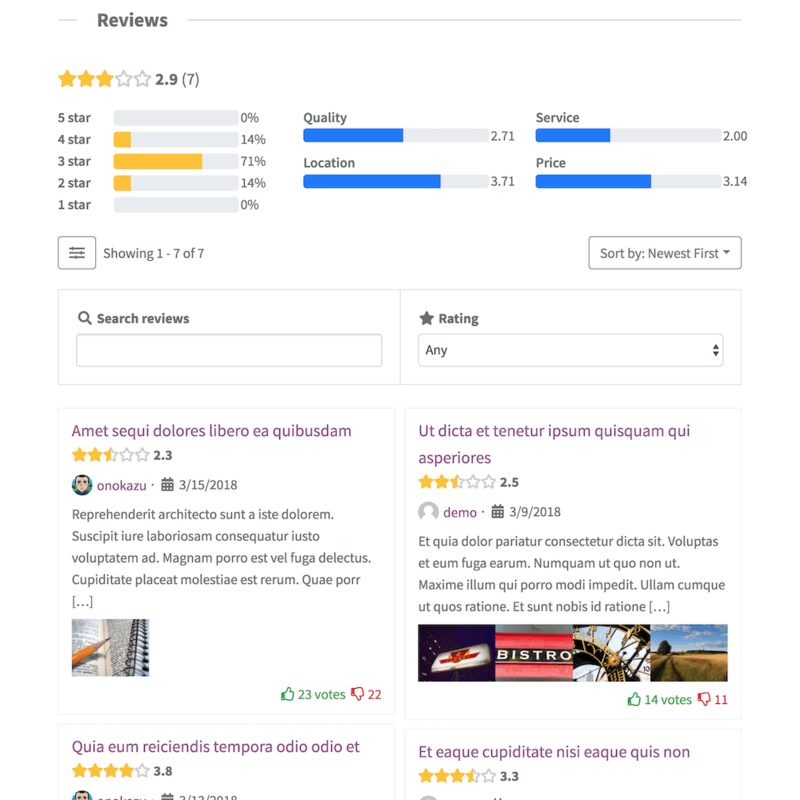 Development led by the author of Sabai Directory, the best-selling directory plugin on codecanyon.net (as of 2018). Directories Pro is well documented with detailed instructions for you to get started fast.